Kogi state received an average of N2.19bn as monthly allocation from the federation account for the first six months of 2016. Kogi’s total monthly allocation of N13.1bn for the first six months of 2016 is N3.5bn less than its wage bill for same period. There is the case of a civil servant having a BVN linked to 40 accounts implying that that person receives the salary of 40 workers put together! The N20bn bailout fund is a loan guaranteed by the federal government – helping to slash the interest rate from 26 per cent to 9 per cent. The total number of ministries has been reduced to 15 from 20. The 610 government appointees and functionaries has been reduced to less than 50. It is only logical that people are likely to make hasty and faulty conclusions when they lack access to the right information. 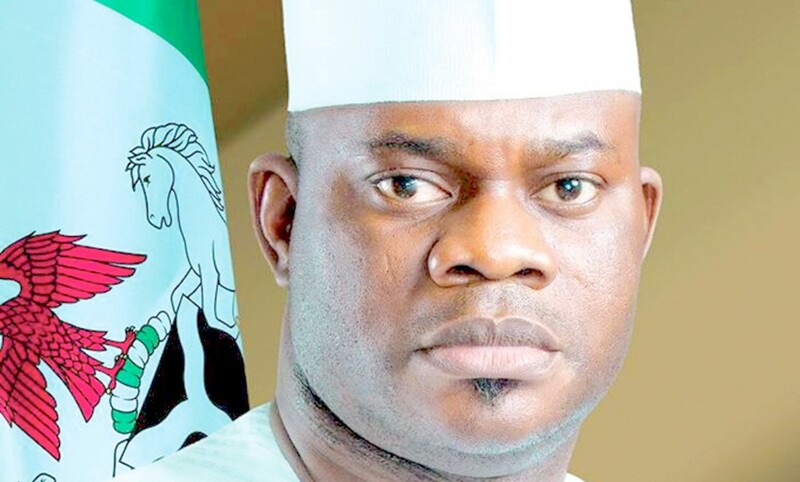 A quick peak into facts and figures of Kogi’s monthly allocation and internally generated revenue in relation to the State government’s wage bill – salary payment – makes the dwindling fortunes of the State quite glaring. A comparison of the State and local government allocation between the past and present administration is illustrated in the tables on The total population of civil servants in Kogi State as of 2013 was said to be a little above 24,000 workers. Three years after in 2016, the figure recorded a 61.5 per cent increase to 39,000 workers -1.1 per cent of 3.5 million inhabitants of the Confluence State. When these figures are summed up with the local government staff, they make up just about 3 per cent of Kogi state population. Yet such a little percentage consumes all of the State’s monthly allocation and internally generated revenue, and seek for more! However, facts and figures show that a large part of the civil servant’s population are made up of ghost workers. Such an instance has been given in the case of a single individual having bank verification number (BVN) linked to 40 accounts implying that that person receives the salary of 40 workers put together, all alone! Such level of corruption and apparent cruelty, informed the need for the screening exercise for all the workers in the state aimed at fishing out ghost workers and thereby reduce the overall wage bill for the state that for long has been to the benefit of a few corrupt fellows feeding fat from the salaries of non-existing workers. The fact that many principal officers have been implicated in the corrupt practice of enjoying the benefits of ghost workers, made it imperative to temporarily suspend all of them so as to ensure a screening free from manipulations and manoeuvres aimed at scuttling the process and covering corrupt tracks. More so, the N20bn bailout fund released by the federal government is not a grant as erroneously believed in some quarters. It is actually a loan with the federal government standing as a guarantor, and helping to slash the interest rate from 26 per cent to 9 per cent. With the knowledge that generations to come will have to partake in the repayment of the loan, the governor is ensuring that the money doesn’t find its way into the pockets of greedy individuals, but rather be put to judicious use, further buttressing the need for the said screening. The result of the screening exercise hasn’t been completed yet. However, in view of the wave of economic hardship being faced by the people of the State, the administration of Yahaya Bello directed that any ministry that has completed the exercise should immediately pay staff under its employ. This is to debunk the rumours making the rounds that there was an ongoing scenario of selective payment to some while leaving others out. When the screening is completed, workers not cleared will be notified of any discrepancies noticed and be directed to the appropriate quarters for rectification. Furthermore, the administration, while ensuring that civil servants maintain its top priority has directed that they be paid first, the backlog of salaries being owed by the previous administration – four months – before political appointees. As a matter of fact, at some point I was being owed three months’ salary, and only 50 per cent of my furniture allowance was paid. To manage a state in dire need of quick aid with such meagre resources requires a leader with vast experience, political will and zeal as well as the good interest of the people at heart. The executive governor of the State, Yahaya Bello, with his renowned business acumen and a vast wealth of experience in the civil service has shown his readiness to take on the daunting task of running the State’s affairs head on. By implementing austerity measures and seeking alternative sources of generating internal revenues while strengthening existing ones, he is gradually salvaging the pitiable condition of the State he inherited from the past administration. Some of such austerity measures include the reduction of the total number of ministries to 15 from 20. Similarly, the previous administration had a total of about 610 special advisers and senior special assistants. Currently, the total number of SAs and SSAs including chairmen of boards, commissions and commissioners are less than 50! One location for revenue from agricultural produce hauled through Kogi state hitherto was generating only N2m to the State. A clique was helping themselves to a princely sum of N11m monthly in what was crookedly termed taking care of the boys. Today, the entire N13m comes to government’s coffers and certainly will rise above the N20m mark in the months ahead. These, and a host of other economic indicators, make it obvious that we are on the right track. The current administration is poised at returning Kogi State to its lost glories.